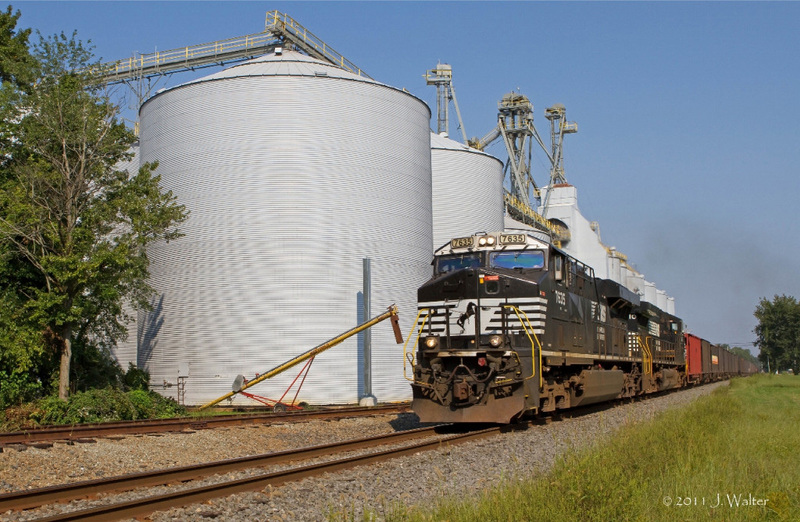 Delaware Railroads And Railfanning In "The First State"
Delaware railroads feature one of the nation's first railroads and while today it has nearly the fewest rail miles of any state its rails are critically important to the Northeast. Even during the heyday of the railroad industry the state's rail network was never that extensive featuring less than 400 miles of trackage. However, even today when it comes to Delaware, big things come in small packages. Few states offer such a wide variety of trains and railroads as the First State (both Class Is operated in the state along with about a half-dozen shortlines). Whether you are interested in high-speed trains, bucolic steam locomotives, or coastal railroad operations, Delaware offers all three! Please be aware, that throughout this page you will find various links to other pages here at the site. 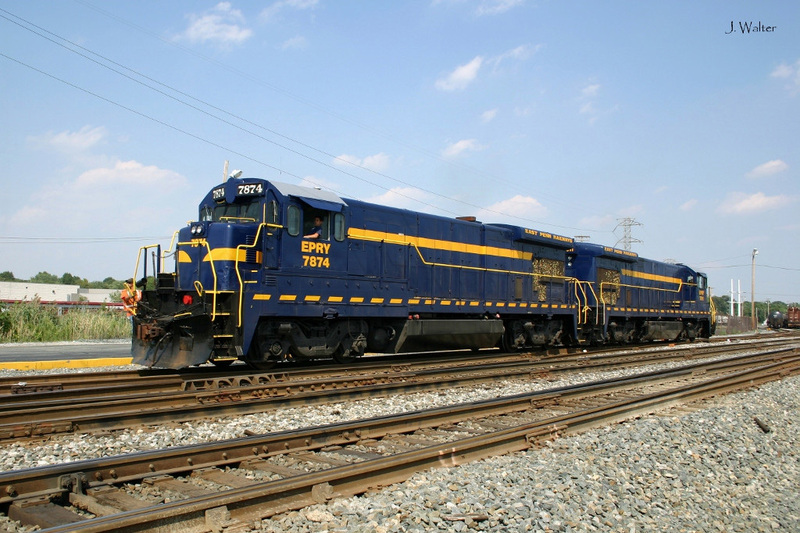 These pages simply cover various railroad subjects related to the state of Delaware if you are perhaps interested in checking them out. Delaware railroads date all of the way back to 1832 when the little, and mostly forgotten, New Castle & Frenchtown Railroad opened that year as a better transportation alternative between the Chesapeake Bay and Delaware River. The railroad had been chartered February 7, 1829 (just a few years after the Baltimore & Ohio was chartered) and operated a virtually straight main line that stretched some sixteen miles between New Castle, Delaware and Frenchtown, Maryland. Using very early railroad construction techniques of the time the line featured stone blocks for ties and strap rails. Once the Philadelphia, Wilmington & Baltimore Railroad opened in 1838 connecting its namesake cities (the PW&B became part of the Pennsylvania Railroad in 1902 serving as its main line to Baltimore) the NC&F became redundant. As such, it was gradually cut back and mostly abandoned by 1853. Interestingly, part of the route continues to carry on today under the Norfolk Southern banner. 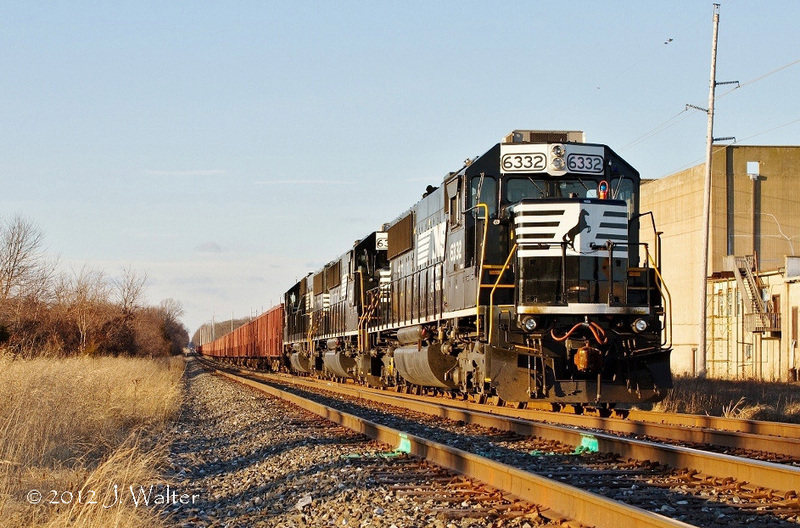 Although Delaware has never held many miles of railroad it has been home to several classic railroad companies. These include the Baltimore & Ohio Railroad, Pennsylvania Railroad (and later Penn Central/Conrail), and Reading Railroad. Of note, other companies like the Pennsylvania-Reading Seashore Lines came close to operating lines into Delaware but never quite reached across the border. 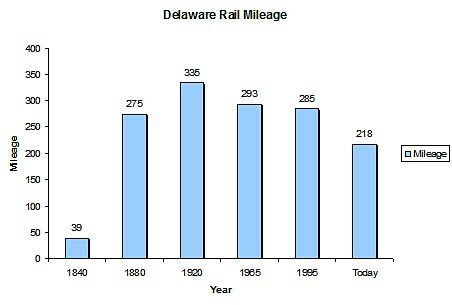 In terms of Delaware's route miles throughout the years please refer to the table below. While the B&O's main line to New York City stretched through Delaware (the route operated from Newark to Carrcroft, a distance of just 15.7 miles according the railroad's official timetable) and the Reading operated a branch between Birdsboro, Pennsylvania and Wilmington it was the Pennsylvania Railroad that owned most of the state trackage, sprawling all over the state with a main line that stretched south from Wilmington, Delaware to Cape Charles, Virginia. In any event, as you can see in the below chart, the state's rail system has never been that extensive and today most of the original network remains intact and in use. As anyone who studies at least a little railroad history is well aware, the Pennsylvania Railroad was one of the most powerful companies of its time nearly until its merger with the New York Central in 1968 to form the Penn Central. While the PRR stretched to Detroit, Buffalo, northern Michigan, Chicago, St. Louis, Cincinnati, and a myriad of other eastern/Midwestern cities it had a high concentration of branch lines and routes in New Jersey, eastern Pennsylvania, Maryland, and Delaware. Its secondary main line between Wilmington and Cape Charles provided interchanges with southern lines, Norfolk & Western, the original Norfolk Southern, and Chesapeake & Ohio all of whom served the ports of Norfolk/Newport News/Virginia Beach. Additionally, the PRR had several branch lines (five) diverging from this main line through Delaware. Most of these routes served one or more towns in nearby Maryland such as Chestertown, Centreville, Queenstown, Queen Anne, McDaniel, Hurlock, Cambridge, Vienna, Ocean City, and Franklin City. However, a few served locations directly in Delaware such as Smyrna and Rehoboth Beach. Today, many of these branches have since been abandoned. 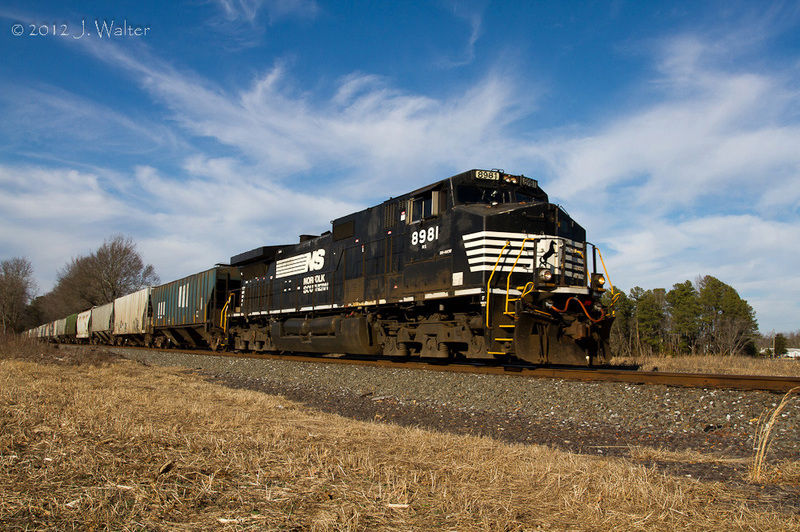 However, the main line to Cape Charles is still fully intact operated by Class I, Norfolk Southern through most of Delaware while CSX Transportation operated the rest through Maryland. Today, the other remains of the PRR are still very present in the state as is the B&O's main line (operated by CSX). Not only does our country's fastest passenger train, the Acela Express, operate at speeds of 135 mph along the NEC through Wilmington (and reaching Washington, D.C./Baltimore) but also the city is home to three large PRR buildings; Amtrak's current Wilmington Station, the railroad's former Wilmington office building, and its former freight station, today owned and used by Internet banking company INGDirect. Wilmington is also home to Amtrak's Wilmington Maintenance Facility (an original PRR facility), Bear Maintenance Facility, Consolidated National Operations Center, and High-Speed Rail Training Facility. Along with the current operations of CSX and Norfolk Southern, Delaware is also home to the remains of the Conrail system, Conrail Shared Assets (a jointly run railroad between NS and CSX) as well as shortlines, Delaware Coast Line, East Penn Railway, Wilmington & Western Railroad, and the Maryland & Delaware Railroad. These small railroads operate the remains of the PRR's branch line network in the state. Lastly, Delaware is home to just one tourist railroad (and no railroad museums), the Wilmington & Western Railroad. This steam-powered line has been in operation since 1966 (although historically the W&W name dates back to the 1860s) and offers visitors an incredible journey along 10.2 miles of what was the B&O's Landenberg Branch between Greenbank Station and Mt. Cuba. 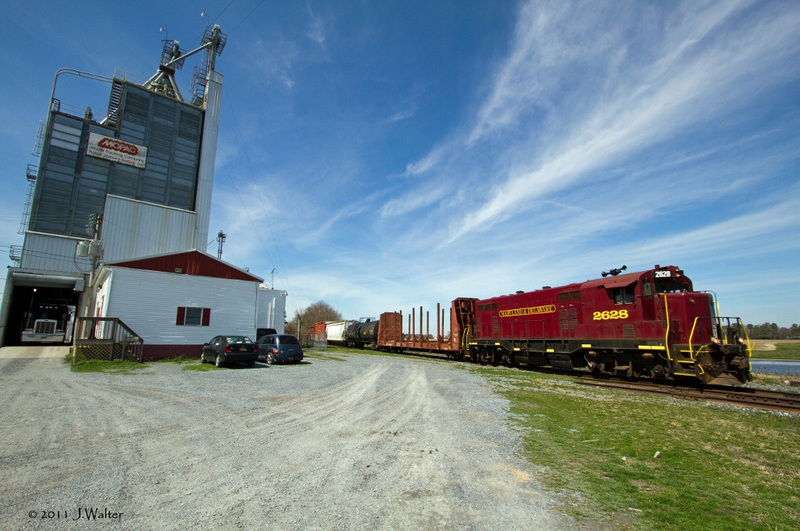 In all Delaware railroads offer a little of everything for a train lover, whether your railroading interest(s) might be railfanning, tourist railroads, or simply sightseeing. Finally, for more information about Delaware's railroad history please visit AbandonedRails.com, a website which regularly adds information regarding abandoned rail lines from across the country (broken down state-by-state).